My friend Angel and I made the below "wine" charms (more like martini charms in our case) for our mutual friend's bachelorette party. We were inspired by this etsy shop discovered via Pinterest. 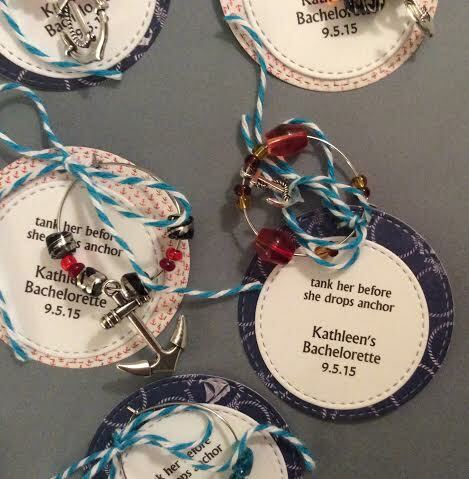 Our friend is into everything nautical, so we used anchor charms and paper from Authentique's 6x6 Seaside. 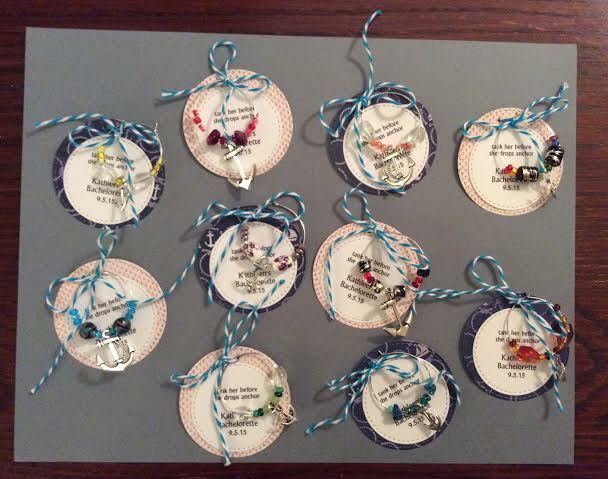 I used My Favorite Things' Stitched Circle Stax to create the label portions of the charms while Angel picked out and assembled the bead portions from my random stash. I think we made a pretty stellar team! 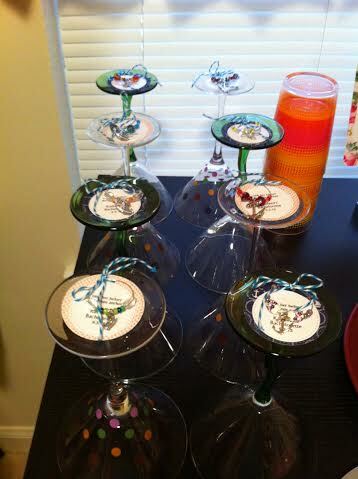 I show images from the initial creation, but also the great presentation Angel put together for the party. I think another craft night is in order, soon!